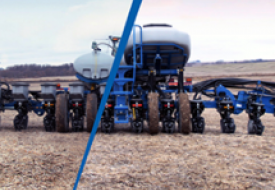 To keep Kinze at the forefront of the industry, we are continually hiring creative, hardworking people who can help us create the next big innovation. 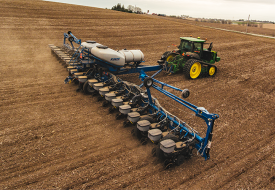 Team members of all levels—from co-ops up to senior management and ownership—work together to design, build, and market the world’s finest planters and grain carts for today and tomorrow. 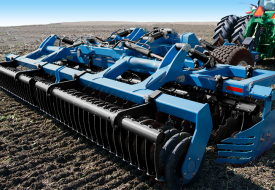 Headquartered in Williamsburg, Iowa, Kinze employees work less than 30 miles from Iowa City, 45 minutes from Cedar Rapids, and a little over an hour from Des Moines. Williamsburg itself is a friendly town of 3,200 people bustling with business, retail, excellent schools, and recreational amenities. We know satisfied employees are free to focus on creating the next big innovation. That’s why Kinze offers competitive compensation and benefits packages. Primary benefits include healthcare insurance, flexible spending accounts, health savings accounts, dental insurance, vision insurance, life insurance, 401K/profit sharing, vacation, and holidays. 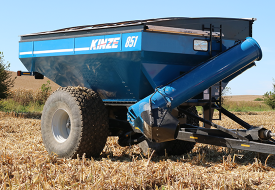 Kinze was founded on the premise that innovation can improve a farmer’s way of life. 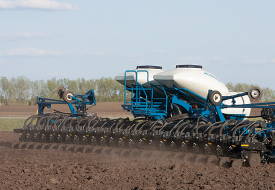 You’ll get the opportunity to work on the next big innovation in planting and grain handling. Learn new skills, tackle big projects, and work directly with leadership to create the next breakthrough product. We care about the professional and personal well-being of each member of the Kinze team. We believe a secure, highly motivated, and well-trained workforce will thrive at work, at home, and in the community.